PSG face Manchester United in the last 16 of the Champions League but Neymar will not be back for either leg of the tie - the first leg is at Old Trafford on February 12 and the second in Paris on March 6. It had been suggested the player may need surgery with Brazil keen to see the forward return to fitness in time for Copa America in Brazil this summer. "After detailed analysis by the specialists, a consensus was reached of conservative treatment of Neymar Jr's injury to the fifth right metatarsal", the statement from the French champions read. 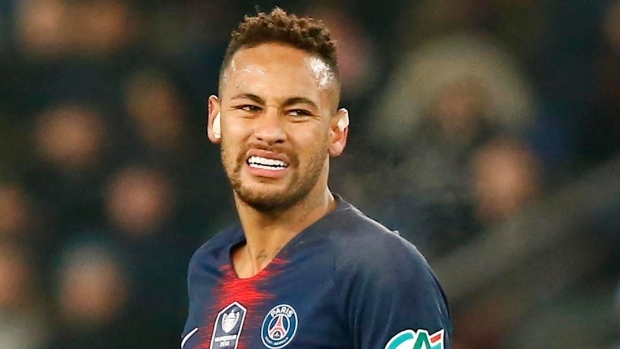 Neymar, now in his second season with PSG after moving from Barcelona in 2017 for a record $263 million transfer fee, was injured January 23 in a French Cup round of 16 match against Strasbourg. "As a result, Neymar is expected to return to the field within 10 weeks". A team of medical experts have concluded that Neymar has damaged the fifth metatarsal in his right foot.